Snacks: There are many snacks offered within the parks and resorts. This includes, but is not limited to- a scoop of popcorn, popsicles/novelty ice cream, fountain soda, bottle of soda or water, coffee, tea, bag of snacks and fresh fruit. These snacks are located in carts throughout the park as well as the resorts. Quick Service Restaurant: Fairly obvious what this means… it’s a restaurant… with quick service 😂 or basically not a sit down meal where a server comes to your table, but one where you stand in a line and order your food, receive your food and find your own seat. Table Service Meals: The opposite of quick service. You sit down and a server will come to you and take your order. These include Signature Dining and Character Dining. The least expensive dining package includes 2 snacks a day and 2 quick service meals per person in your group per day. This year they have included alcoholic beverages into their drink options for guests 21 and over. Don’t get too excited though, it’s one drink. The packages increase in price when you add the Disney Dining which includes 2 snacks, 1 quick service restaurant and 1 table service meal per person per day. Finally, the last option is the Disney Deluxe package which includes 3 meals (quick service or table service) and 2 snacks per person per day. So now…. is it worth it? I think it all depends on who you are as a traveler, as a family and where you’re staying. Here are some things to consider when making this choice for your family. Is there a free dining incentive running? Guys… when there is a free dining option, the clear answer here is yes. It is worth the Money…. as it costs no money. Lol this might seem silly to point out, but just make sure to keep your eyes peeled for those incentives (or better yet, have your Disney Planner do it😉). Are you staying somewhere that has a kitchen? We always stay in Disney’s Fort Wilderness Cabins. There is a full kitchen there. Now… we do not really cook, but for sure we eat breakfast and lunch (sandwiches) in our cabin each day. I have good intentions of writing a whole blog post about GardenGrocer at some point, but they are a company that delivers groceries to your resort. So, unless we have a special breakfast or lunch planned at a park, we spend most of those meals in our resort. Are you the type of traveler who goes for the dining or for the rides and shows? If part of what you enjoy is dining out while you are on vacation, a dining package might be for you! When you have prepaid for all of those meals, you hate to waste the money and not use them. However, sitting down to eat does take up time you could be spending doing other things. So, I think you should consider what your priorities are during your stay. Each family will be different, this is why you should take a second and decide how your family typically travels. So far, my family has always opted to not do the dining plan. To each their own, and like I said earlier, you have to do what is right for your family. We like being flexible on our dining and I don’t plan a lot of table service meals for our trips because with little ones, you just never know when that breakdown is going to be. I usually plan a character breakfast, a character dinner and maybe a some visits to a couple of our favorites. The other meals are easy eat in room meals, or a grab and go sort of thing. We don’t spend a whole lot of money, and usually spend less than the least expensive dining option. My kids are happy to share a popcorn (well… that’s a lie, they aren’t happy to share… but mean Maleficent like mommy makes them share) so having 10 snack credits for my family seems insane. As my kids get older though, it may turn out to be something we end up doing. I do not “dislike” the plan, it just hasn’t been right for us yet. Was my family the coffee family?! 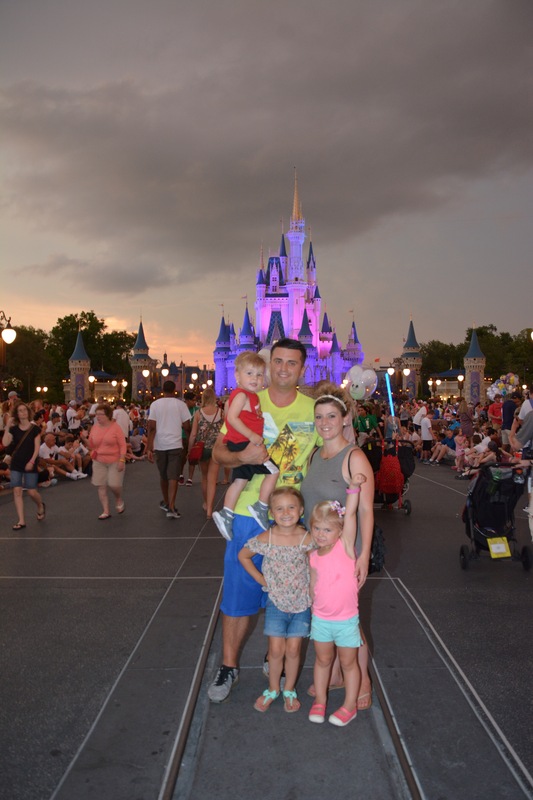 Previous Previous post: Disney World with Kids: “The Meltdown”…and how to make it slightly better….